It's pink, blue and available at a Starbucks near you. Mythical creature enthusiasts with a sweet tooth can now tell baristas to whip them up a Unicorn Frappuccino. Participating stores in the U.S., Canada and Mexico will offer the drink through the end of the week. 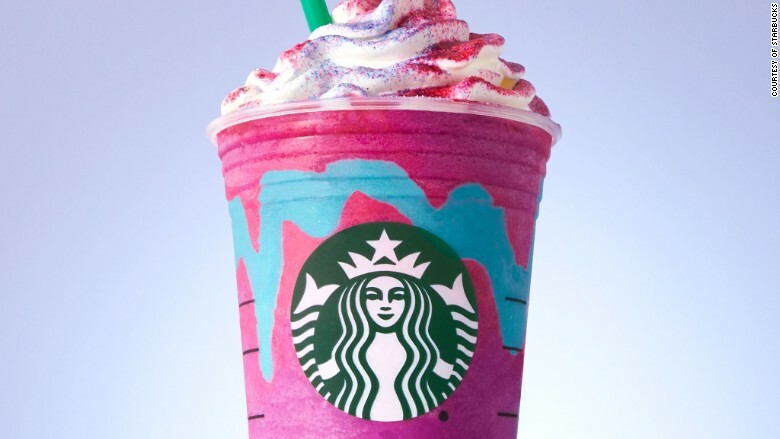 The beverage "is made with a sweet dusting of pink powder, blended into a crème Frappuccino with mango syrup and layered with a pleasantly sour blue drizzle," according to a company release. "It is finished with vanilla whipped cream and a sprinkle of sweet pink and sour blue powder topping." That's not all. The drink starts out purple with blue swirls and tastes sweet and fruity. But if you stir it then it becomes pink, tangy and tart, Starbucks says. "The elusive unicorn from medieval legend has been making a comeback," the company said. " ... Now Starbucks is taking the trend to a new level." 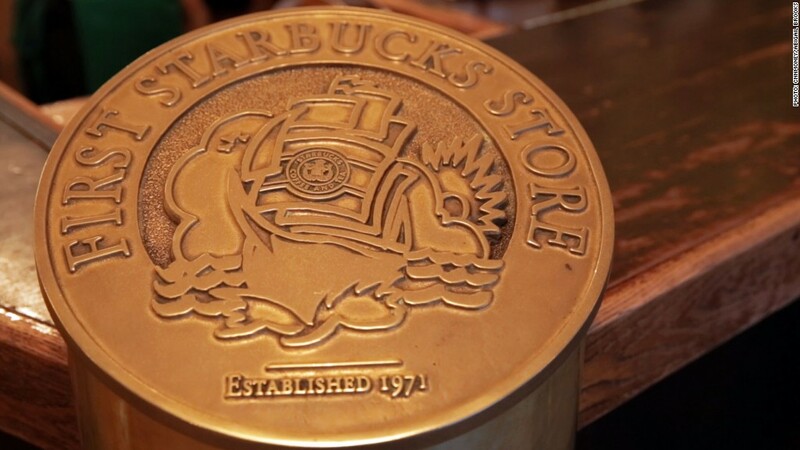 It's not the first time Starbucks has jumped on a craze. The company rolled out limited-edition Pokémon Go Frappuccinos last December and has launched a vampire-themed Frappula Frappuccino around Halloween. For the health-conscious among us: A tall Unicorn Frappuccino made with whole milk and topped with whipped cream contains 280 calories, 11 grams of fat and 39 grams of sugar, according to a Starbucks spokesperson. The beverage, which doesn't contain coffee, is caffeine free.